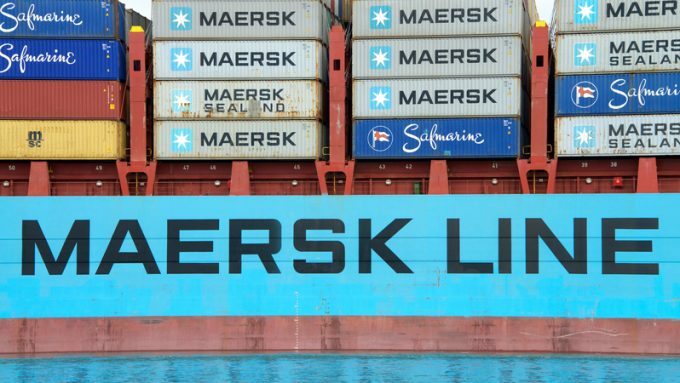 The company that developed the ship.maerskline.com platform for the world’s largest shipping line is to introduce a service product for small and medium-sized freight forwarders. In September, UK-headquartered Kontainers will release Kontainers Edge for freight forwarders – and smaller, niche container carriers – which will allow them to scale-up their digital offering and present customers with freight rates, shipping schedules and shipment booking facilities, as well as web-based dashboards and business analytics. For the past two years, the company has been working on Kontainers Enterprise, which is most evident in Maersk’s booking app ship.maerskline.com and, if this comes as news, it is because it was only today that the Danish carrier allowed Kontainers to identify itself as the platform’s creator. Kontainers chief executive Graham Parker told The Loadstar around a quarter of the 20 largest shipping lines use the Kontainers Enterprise system to power their own-branded platform, which takes Kontainers around 12 weeks to implement. Mr Parker described Kontainers Edge as a “simplified” version of Enterprise that can be deployed in a matter of weeks, and said it would cost a company about the same as the annual cost of one salesperson. “We have brought the costs of digitisation down significantly,” he said. “In an industry used to having middlemen, switching to a digital interface between you and your customers may seem like the obvious next step. However, for our customers, this is often a step which cause some anxiety, as age-old true and tested processes need to change. “With the platform approach, they maintain control of their brand and their relationship with their customers in an environment which has already proven to accelerate uptake under normal business conditions for main carriers. “The growth they experience on the platform is a combination of their promotion and pricing principles, supported by a platform that just makes shipping very easy for everyone. “We are effectively democratising digital execution capabilities to every shipping brand globally and re-imaging a new genre of freight software,” he added. He said the biggest challenge had been developing the software to gather rates and sailing schedules, both from carriers directly and those delivered to forwarders – which can vary significantly depending on where the market is. The system will be made available to European and North American forwarders in September and rolled out to the rest of the world through the fourth quarter of this year.